Riihimäen Teatteri and Reality Research Center were granted by Finnish Cultural Foundation yesterday. I was representing both organisations at the foundation’s annual party as I’m now the Artistic Director in both of organisations. Good program! Some live music, presentation of a video installation, speeches and a dinner in good company. Nice. Thank you, SKR! Reality Research Team at the party: Managing Director Annu Kemppainen, Chairwoman of admin board Maria Oiva and I. Yesterday I was honoured to celebrate Finland’s 100th Independence Day at the Precidential Palace as one of the 1900 invited guests. I was there as a representative of Riihimäen Teatteri. What an exciting evening was that! 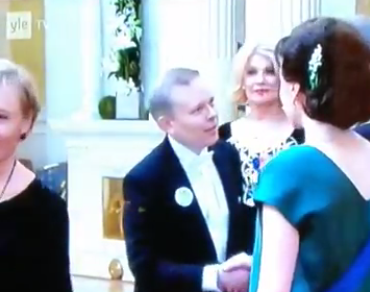 See my short moment in the spot light here where I shake hands with the president and the first lady. Thanks for the video, Juho! I was also happy to share an interview by Aamulehti with MP Satu Hassi. Kolme vuotta peräkkäin ollaan oltu Tampereen teatterikesässä, toteutettu korkeatasoisia, kiitettyjä esityksiä, osallistuttu Tanssiteatteri Minimin kanssa teatterikentän toimintamallien uudistamiseen lisäämällä yhteistyötä teattereiden välillä. Olemme luoneet teatterille myös digitaalista ulottuvuutta ja vastikään viihdytimme presidenttiä Riihimäen kaupungin mannekiineina – ja nyt kaupunginjohtaja esittää Vuoden teatteriksi valitun Riihimäen Teatterin toiminnan lopettamista. Teatterin taiteellisena johtajana olen tyrmistynyt tästä suunnitelmasta. ALLEKIRJOITA ADRESSI TEATTERIN SÄILYTTÄMISEN PUOLESTA TÄÄLLÄ! 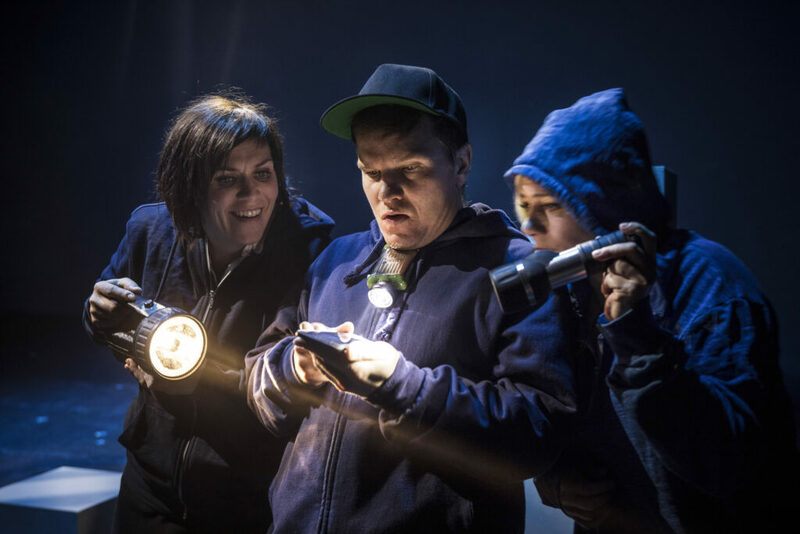 In Riihimäen Teatteri we’ve been producing highly acclaimed performances that have been invited to Tampere Theatre Festival three years in a row. Besides this, in cooperation with Dance Theatre Minimi, we have participated in reforming the national model of producing theatre to make it more collaborative and we have worked to make theatre more digitally accessible. 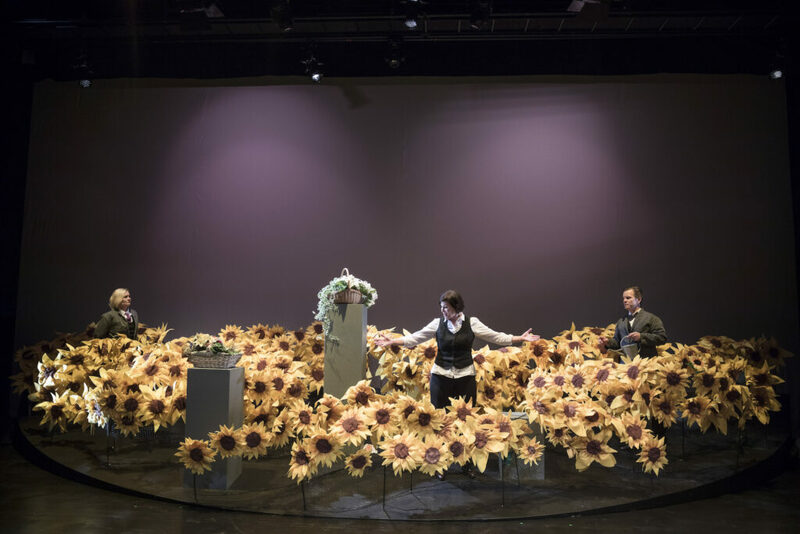 For all these reasons Riihimäen Teatteri was selected as The Theatre of The Year 2017. 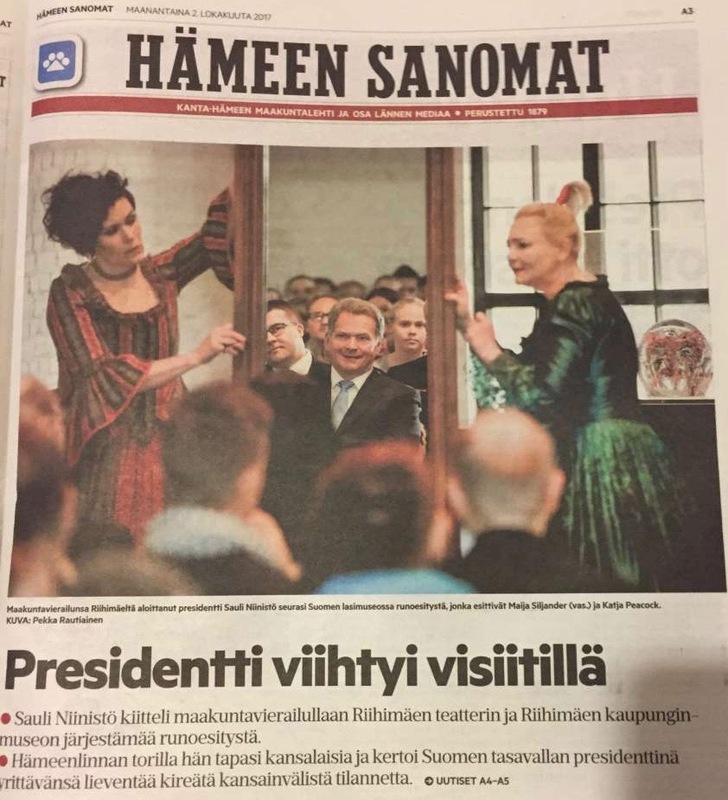 Just briefly we entertained mr President successfully as the showpiece of Riihimäki – and now the mayor suggests to close down the theatre. As the artistic director of the theatre I’m flabbergasted. Sign a petition to save the theatre! Janne Katajan Riihimäki at Riihimäen Teatteri from 14 October to 16 December 2017. Maria Säkö’s review in Helsingin Sanomat 15.10. Pirjo Puukko’s review in Hämeen Sanomat 18.10. Simo Sahlman’s review in Lukupino blog 21.10. Scriptwriter Taija Helminen interviewed in Helsingin Sanomat 29.11. Article in YLE news 14.10. Article including a preview video in Hämeen Sanomat 11.10. 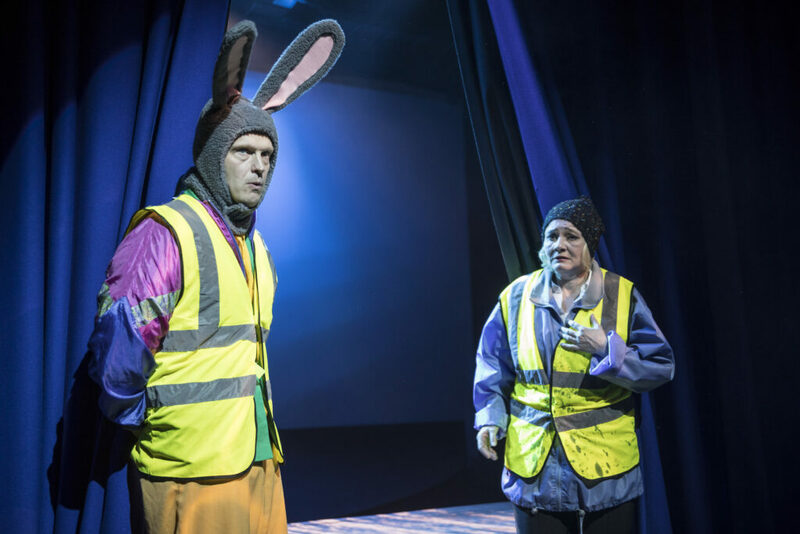 My first work of theatre in four years! Come and see! More info from Riihimäen Teatteri. A documentary theatre performance about a fate of a small city in Southern Finland seen through the lenses of one of it’s most well known inhabitant, media person, presenter and comedian, mr Janne Kataja. Janne Katajan Riihimäki cuts through the last 37 years of Riihimäki’s history and focuses on the tragedy of 1990’s depression that broke the city’s identity. Simultaneously it tells the story of Kataja, how he became who he is today and what role Riihimäki played in his upbringing. The script is largely based on interviews with Kataja and other Riihimäki dwellers. How Kataja and people on the streets envision Riihimäki’s future form the main conflict of the play. Kataja’s vision is fantastic, to him Riihimäki is a picturesque French village full of colour and hope. Compared to that passer-bys’ outlook is gritty. Realistic, some might say. From their point of view Kataja is just a lucky duck but, actually, he has done great many things to build a better Riihimäki. Janne Katajan Riihimäki is written by Taija Helminen and directed by me. Stage and costume design by Paula Koivunen, light design by Sami Rauhala and sound design by Kari Paukola. Another star from Riihimäki, singer/songwriter Samae Koskinen, has composed a song exclusively for the performance. All photos by Aki Loponen. After the summer break rehearsals of Janne Katajan Riihimäki (JKR) will continue at Riihimäen Teatteri next week on Wednesday. 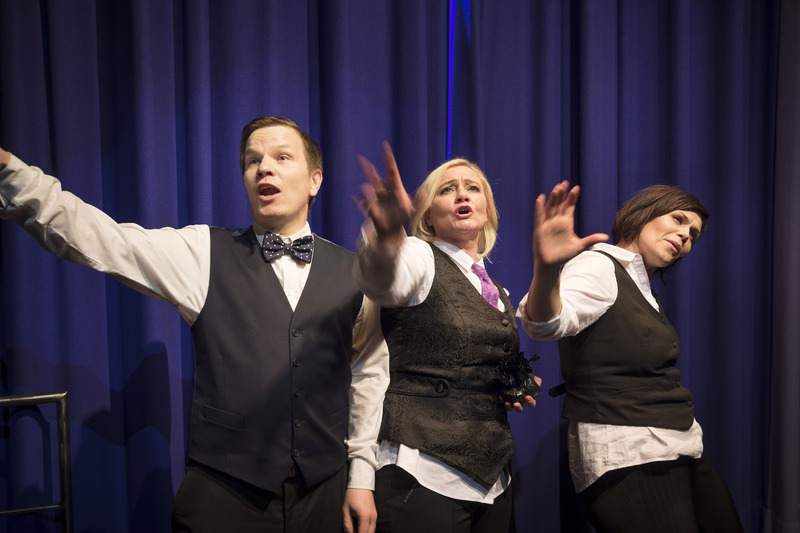 Soon we’ll be promoting the performance in Riihimäen Asematapahtuma, singing a new Riihimäki song composed by Samae Koskinen among other things. Premiere of JKR is ahead on 14th of October. So, still some time to research and try things before making final decisions! One can’t say the same about 24H Pori project that I’m going to participate as a director on Saturday September 2nd at Lainsuojattomat festival in Pori. In 24H Pori 6 playwrights, 6 directors and 24 actors have only 24 hours to come up with 6 new short plays from scratch. Saturday evening at 7 pm they are performed in front of the audience. I’m excited to be invited! And the list of participants is impressive. Check the list & more here and read the article by Satakunnan Kansa. 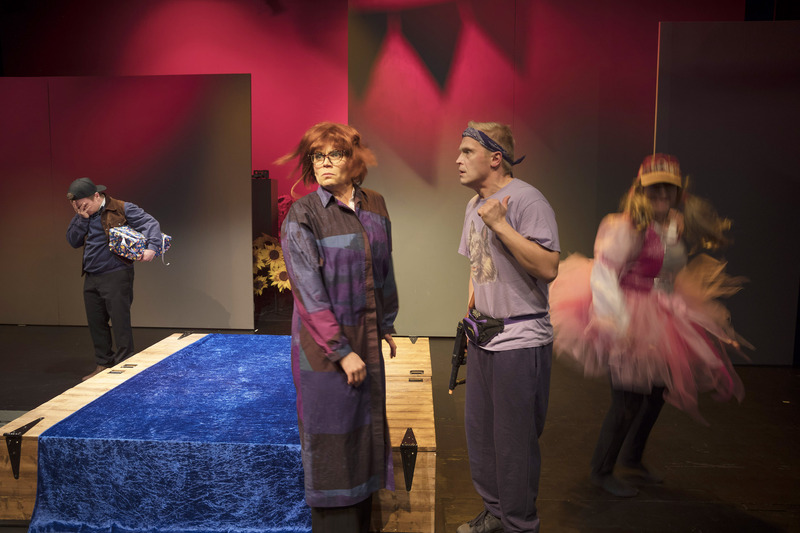 The 24 Hour Plays concept was created in New York in 1995 and the version in Pori has been arranged annually for five years now. 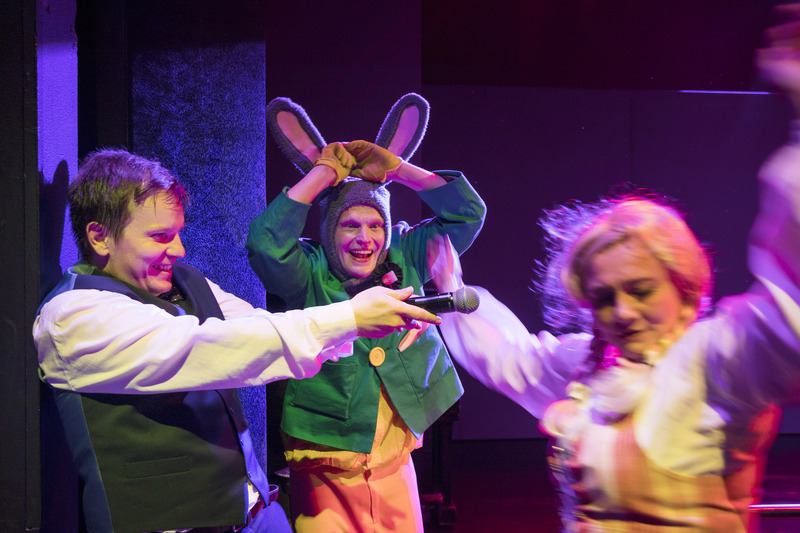 Lainsuojattomat (“Outlaws”) is a cosy festival for Finnish independent theatre scene. I’ve been there every now and then since 2002 with several productions, sometimes as a director, performer, journalist, panelist – not to forget the times as a festival slave and a festival sweetheart. 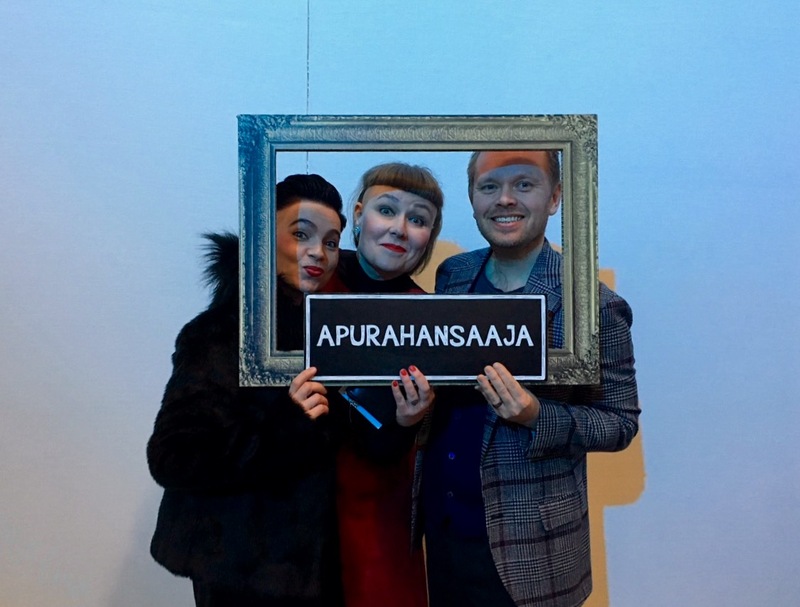 On Wednesday Maria Oiva’s #digiteatteri avatar CEO Maria Virtanen Korhonen bumped into our rehearsals of Janne Katajan Riihimäki at Riihimäen Teatteri. 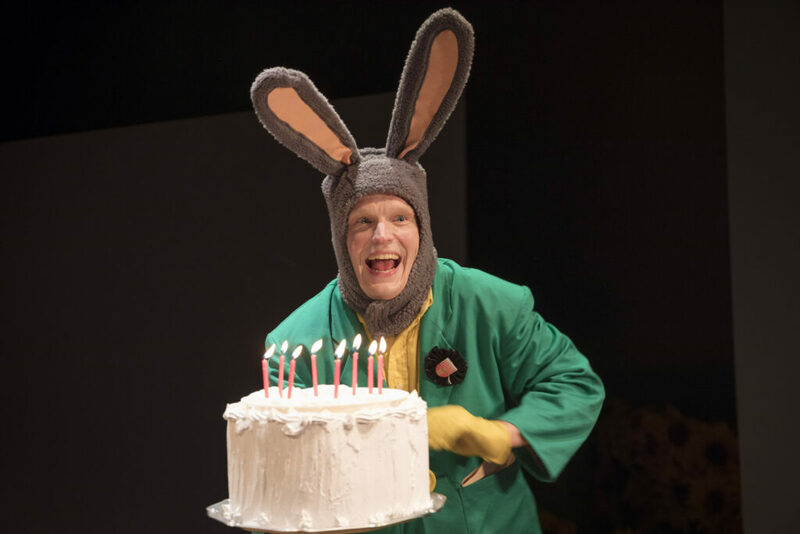 For her astonishment she found out that Janne Kataja does not perform in the play himself, the actors are playing him instead (among other characters)… Not a bad idea, thinks Virtanen Korhonen at the end of the day, thank the Lord. We can continue! 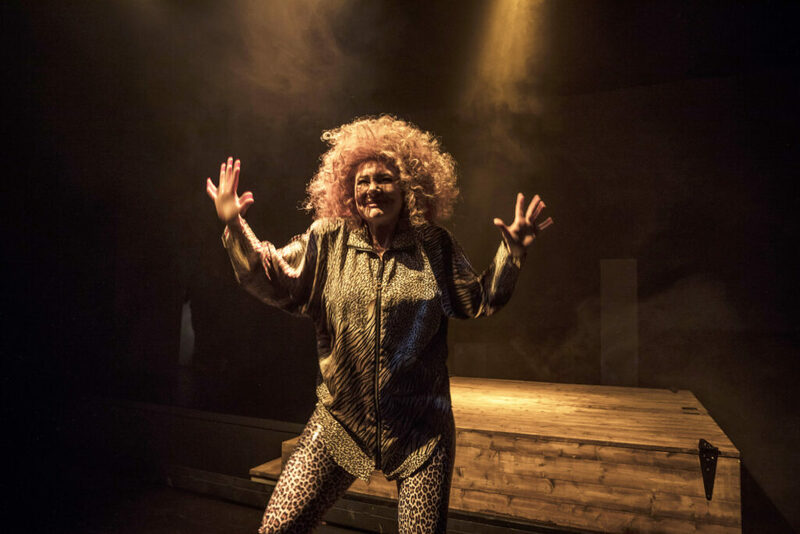 Every Friday, there’s a new Maria Virtanen Korhonen video in the YouTube channel or a podcast of Maria (as herself) and a guest discussing performances of Riihimäen Teatteri in SoundCloud. Besides this Maria is active in Twitter and Instagram. #digiteatteri web page collects all posts here! Yesterday Riihimäen Teatteri, the theatre for which I’ve been doing artistic programming since 2015, was selected as the Theatre of the Year 2017 by MP Tuomo Puumala and The Association of Finnish Theatres. Yahoo! Check the news and listen to the interview in Kultakuume!